*The first thing you'll notice if you replace your bushing with the delrin one is that you'll hear clunking from the front. It's my understanding that it's normal. **This DIY is for Delrin bushing upgrade from Bimmerworld, NOT an OEM bushing replacement. That requires additional steps which I didn't do. Step1: Loosen the bolts on the front wheels and jack up the front of the vehicle on jackstands. If you still have the rubber pads at the jack points, I recommend that you remove them. They make it more likely for the car to slip off the jack stands. 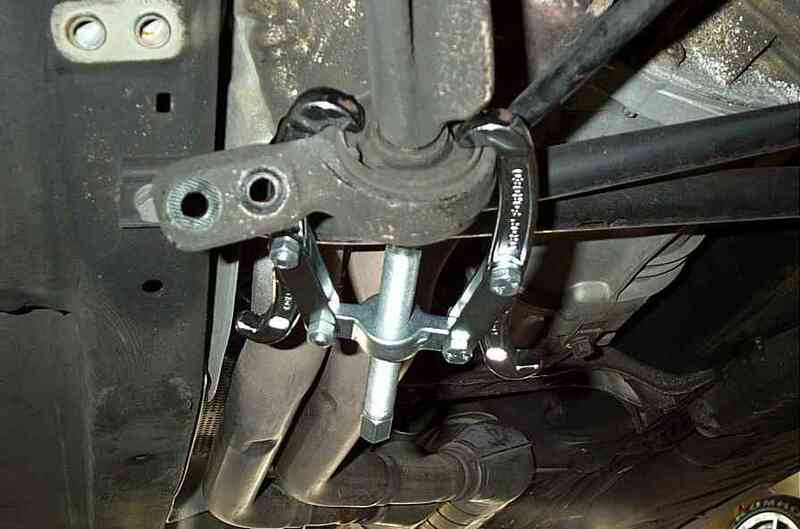 In addition, slide the wheels just behind the jackstand for extra safety. Step2: Unbolt the 2 bolts holding the bracket in place. Step3: Use a 2-jaw puller to pull the bushing off the Lower Control Arm (LCA). Step4: If you have the proper BMW tool, then it should be easier to press the bushing from the bracket. If you don't, you can use the method we used. Using a flathead screwdriver or chisel and a hammer, make indentations all around the metal portion of the bushings. Step5: Take 4 lug nuts and tape them together. Put a thick metal plate (harness backing plate recommended) behind the lug nut pack and using the 2-jaw puller, start pressing the bushing out. Step6: To accomodate the new delrin bushing, you'll need to file down the tab on the bushing bracket. Step7: It should be fairly simple on how to assemble the bushing kit. Just make sure that the carbon fiber portion is facing toward the front of the car. Once you've assembled it, reinstall it onto the car. 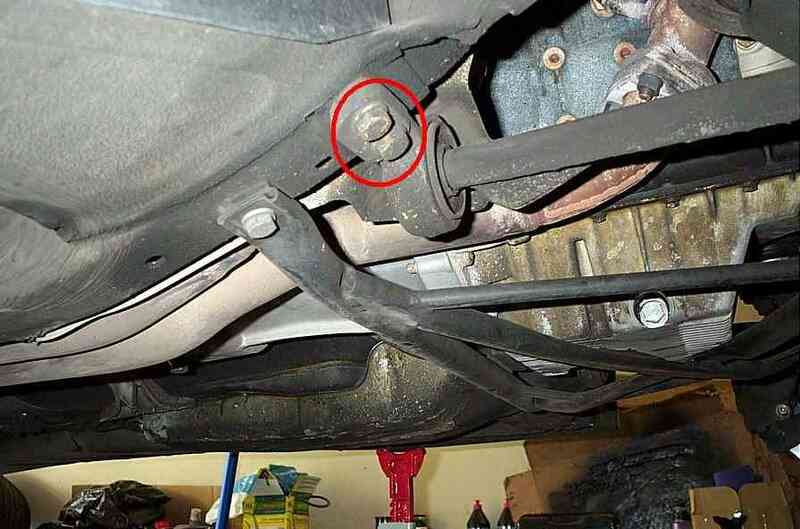 Bushing bracket to car chasis: 34 ft. lbs. Wheel bolt: 80 to 88 ft. lbs.